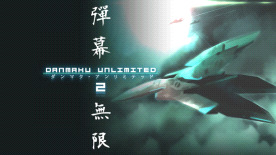 Danmaku Unlimited 2 is an indie labor of love to bring classic Japanese vertical shooting action to modern HD systems. Inspired by Japanese doujin shooters and being authentic to a fault, the game features epic stages filled with beautiful but deadly bullet patterns, nail-bitingly difficult boss fights and seriously rocking soundtracks! Authentic indie J-STG style action in 60fps HD.